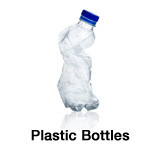 We have recently commenced collections of plastic PET and HDPE bottles. You can check if a bottle uses one of these materials by looking for a recycling symbol embossed into the plastic, usual on the bottom of the bottle. You are looking for the numbers 1 or 2. Please see below for more information. 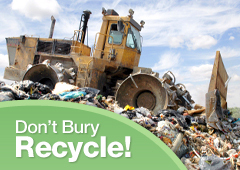 It is really important that the bottles are NOT mixed with any other waste and put into our PINK SACKS for collection. The number 1 inside a recycling symbol shows that the bottle is Polyethylene Terephthalate. This means you will need to place them into Save a Cup's PINK SACKS for collection. The number 2 inside a recycling symbol shows that the bottle is High-Density Polyethylene. This means you will need to place them into Save a Cup's PINK SACKS for collection.